Major updates to FunGoPlay – Check the deets! Playing games now earns you GoDough! Guests can now participate in TOURNAMENTS! And a couple more big ones…. 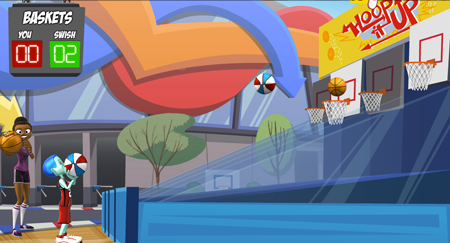 Brand new single player game in HoopGood Hall – Hoop It Up with our very own Swish! What do you think of the new updates? Tell us on the FunGoPlay Forums or just DIVE RIGHT INTO THE NEW STUFF! Posted by fungoplay on October 6, 2011 in Cool stuff and tagged fungoplay, updates.